KazeSpec Engineering front tow hooks MAZDA - MiataRoadster - Stay tuned with MiataRoadster! KazeSpec Engineering front tow hooks are laser-cut 3/16” thick steel. They have a 2” diameter hole that meets the specifications of SCCA and many other sanctioning bodies. The hook has a unique vertical orientation. Includes (3) Grade 8 Zinc plated bolts. 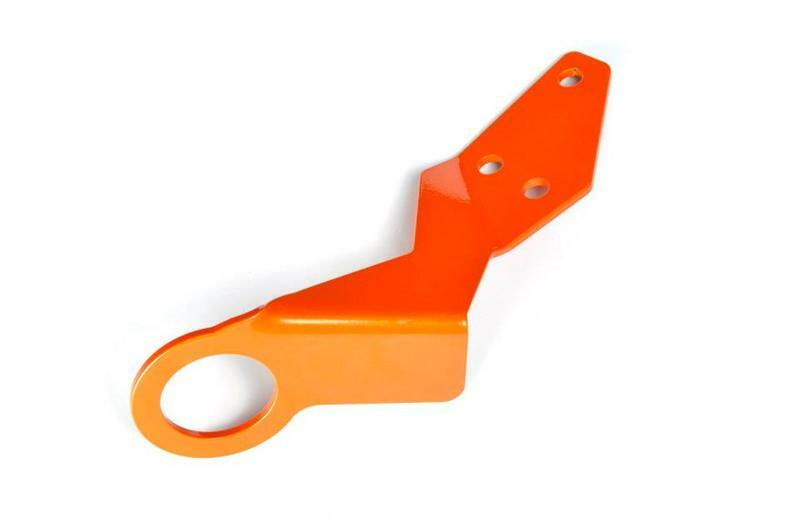 Available in orange powder coat finish or bare steel for you to paint to match your car color.